What is the impact of mentorship? Five Bulldog stories answer that question and show how far caring, commitment, and community can go, as the effects ripple through the generations. John Zepeda ’18, ’20 had a dilemma. The nontraditional student had transferred into the University of Redlands as a junior. Things were going well—he had even picked up Spanish as a second major—until, in his last semester, his sister became critically ill.
A bone marrow donor and a primary caretaker for her, he thought he might need to withdraw from the University as he helped nurse his sister back to health. But then there was Professor Ivonne Gordon-Vailakis. Stories like this abound when students and alumni talk about Gordon-Vailakis, a Quito, Ecuador, native who has taught Spanish and Latin American literature at the University of Redlands for more than 25 years. 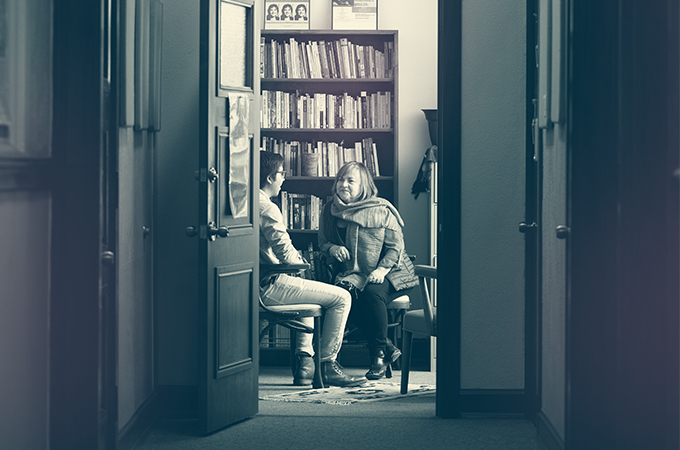 Gordon-Vailakis views education as a journey, where her students ask, “How do I connect to myself, my society, my community?” Mentorship is a natural by-product of that perspective, according to Gordon-Vailakis, who encourages her students to explore a range of possibilities. Diego Fernandez ’07, now a professor at the College of the Holy Cross in Massachusetts, was one of the students whose horizons Gordon-Vailakis expanded. “When I was 19, she invited me to teach a brief lesson,” he says. “I have not stopped teaching since.” Gordon-Vailakis became his advisor, mentor, friend, and now colleague. “Her impact is beyond measure,” he says. In Gordon-Vailakis’s office, a poster created by students as a gift to her sits among framed covers of her books, her Professor of the Year awards, and other trophies. Faded and yellowed, the poster depicts the image of a tree, with words beside it now barely legible: “¡Los Arboles Iluminados! (Lit Trees! )” in large letters and, beneath that, “Estamos creciendo en la luz … (We are growing in the light).” The poster, which goes back to 1991, her first year at Redlands, reflects Gordon-Vailakis’s philosophy on teaching: She tends to her students as they grow, even beyond Redlands. Ayetzy Presa ’20 met her first mentor in middle school after her parents—immigrants who hadn’t gone to college themselves—enrolled her in the Big Buddies program offered at the U of R. “I think my parents were just hoping that someone would help me fill out my college and scholarship applications,” she says. Little did they know that Big Buddies would open a door for Presa to much more: lifelong friendships, a passion for educational justice, and a desire to become a role model herself. The Big Buddies program, which began serving the Redlands community 30 years ago, provides mentorship to Little Buddies (ages 6 to 10) and Middle Buddies (ages 11 to 14). Participants can continue to be mentored by transitioning into CHAMPS (College High School Alliance Mentoring Program with Service). 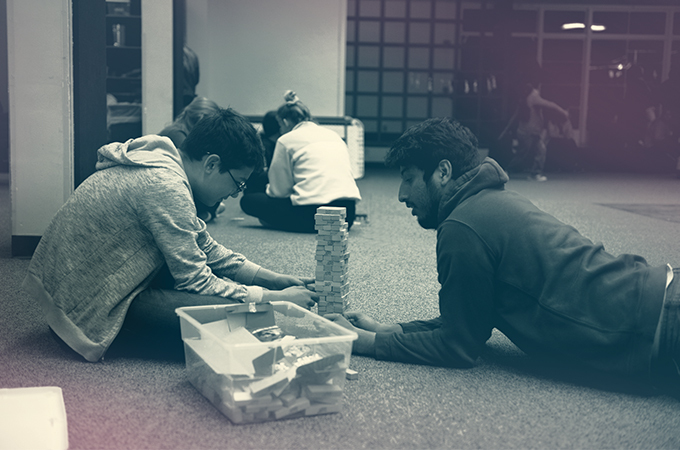 There are currently 20 student-mentor pairs in CHAMPS, and 60 in Big Buddies. And that is how the program is supposed to work, according to Community Service Learning (CSL) Director Tony Mueller. “Big Buddies and CHAMPS are programs that foster mentorship and encouragement. Although we offer tutoring for each program, the goal of Big Buddies is really to create strong relationships.” CSL maintains separate programs, such as Jasper’s Corner Homework Club, specifically for tutoring children. Thanks in part to her mentors like Godfrey, Presa stayed on task, finishing high school and enrolling in college at California Lutheran University in Thousand Oaks. After her first year, she realized that U of R was a better fit for her and transferred. 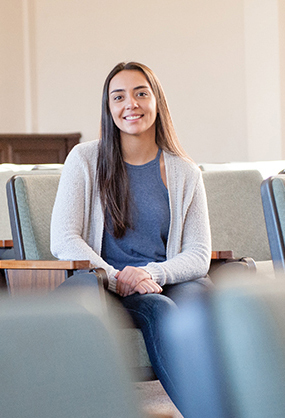 Today, along with Hannah Albrecht ’21 and Lisa Elliott ’19, Presa is a co-director of U of R’s CHAMPS, the same program that had such a huge impact on her. 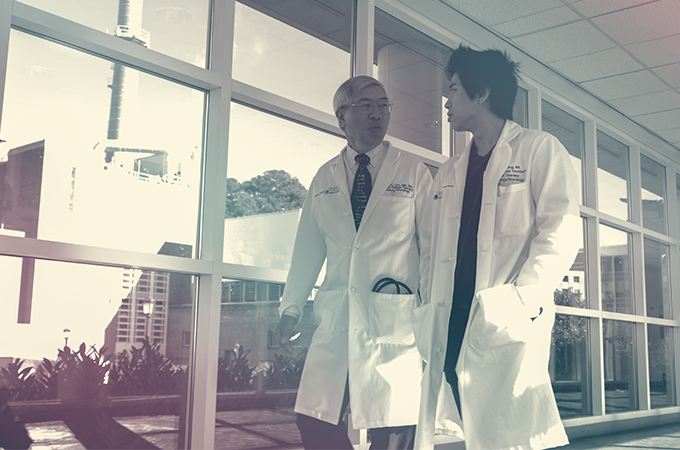 Despite having graduated decades apart, Lawrence (Larry) Lum ’69, M.D., D.Sc., and Johnson Ung ’17 share a fascination with science, a commitment to hard work, and life-changing experiences through the U of R. Now they also share a common goal and a mentorship bond as they work together to advance groundbreaking immunotherapeutic cancer research. Both Lum and Ung are building on foundations laid nearly 2,500 miles away at the University of Redlands. Lum was a chemistry major at Redlands, where Professors Julian Roberts and Jim Ifft were major influences. “They really believed in independent study and were very interactive, very available, and got us involved in summer research,” says Lum. Today, Lum’s lab conducts research that augments a patient’s own immune cells to combat cancer. Called bispecific antibody armed targeted T cells (BATs), these specialized cells, armed with a chemically conjugated bispecific antibody that binds to both T cells and cancer cells, secrete an array of proteins that attack the cancer and attract other immune cells. The destruction of the tumor by a patient’s own T cells leads to vaccination against that specific tumor. In related work, Lum, who received an honorary doctorate of science from the U of R in 2000 and the U of R Alumni Centennial Award in 2007, is developing a cellular treatment for patients with type 1 diabetes. For his part, Ung, who majored in chemistry and biology at Redlands, was introduced to the world of clinical research by U of R Professor of Biology Ben Aronson, who recommended an internship opportunity at Seattle’s Fred Hutchinson Cancer Research Center. The internship helped Ung land a position in Lum’s lab. Ung admits that working with Lum and his group was nerve-wracking at first, but, over time, he eased into his job and found a sense of belonging. This year, Jeremy Cervantes ’17, ’19 selected a special theme for his fourth-grade classroom at Morongo School, located on the Morongo Band of Mission Indians reservation. The doors and bulletin boards are plastered with an array of superheroes, which Cervantes selected to inspire his students. One of Cervantes’s classroom bulletin boards features the “Bat-Signal” from the famed Caped Crusader and a quote that reads, “Our greatest glory is not in never falling, but in rising every time we fall.” Cervantes is committed to helping Native students better themselves and hopes a few of his students will attend Redlands one day. Carla Carlini ’11, ’12 hesitated when she heard from Christine Taitano, the University’s director of student services and head of the School of Business Mentor Program. 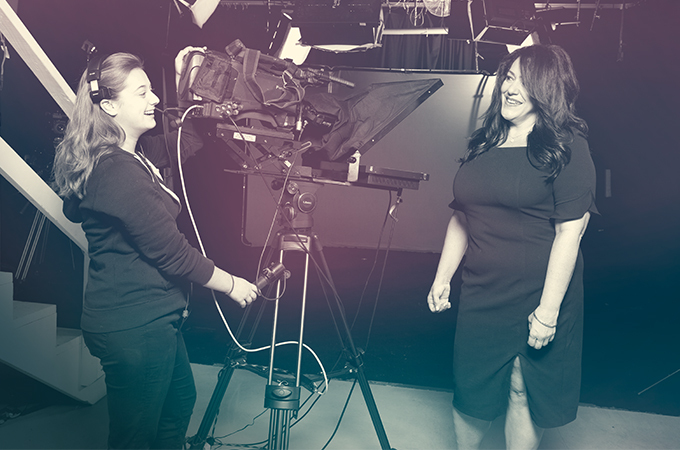 The president and general manager of Los Angeles-based educational cable access channel LA36 and active mentor in the program since 2013, Carlini thought the call might be about a new assignment but didn’t feel she had the bandwidth at that moment to take on a new mentee. But Taitano simply asked if Carlini would be willing to have a conversation with recent College of Arts and Sciences graduate Allison Torrance ’17. “I agreed, and the next thing I knew I was offering Allison an internship,” says Carlini with a laugh. Torrance was thrilled. The theater major had been unlucky in her job search until a casual conversation with Taitano, who happened to be the mother of a friend, led her to Carlini. The television executive proved to be just the mentor Torrance hadn’t realized she needed. Torrance began interning at LA36 in September 2017, seizing every opportunity to learn about video editing, graphics, and production. In January of 2018, she moved into a part-time production assistant role at the station and more recently started another part-time job as an editor and production assistant at Torrance CitiCABLE, thanks in part to introductions made by Carlini. “When I work with a student mentee, my aim isn’t to give that person a job, although in Allison’s case that’s what eventually happened,” says Carlini. Although she has never had a formal mentor, Carlini says many people have taken her under their wings over the course of her career, and she sees the value such experiences bring. 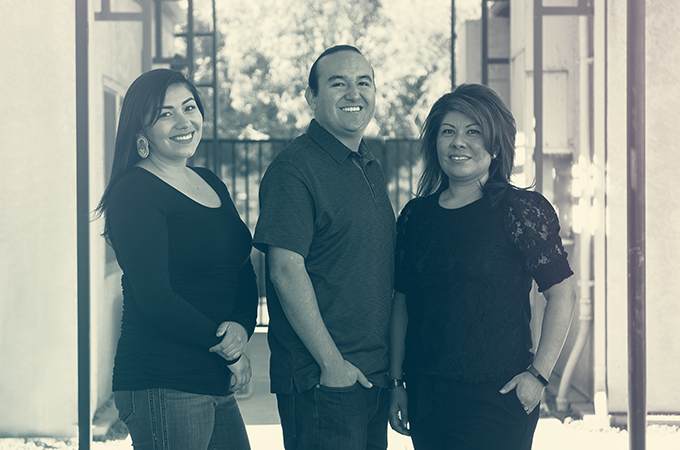 Read more stories from the latest issue of Och Tamale magazine.